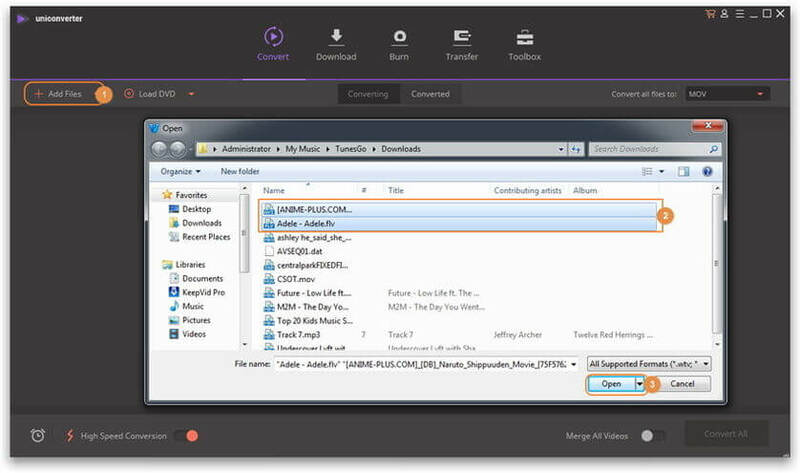 Convert FLV to WMV, MP4, AVI, FLV and over 1000 video/audio formats. Convert FLV to Windows Movie Maker, Final Cut Pro for further editing. Burn and customize your DVD with free DVD menu templates. FLV is one of the prominent file formats. With wider availability of FLV videos on a range of video sharing sites, FLV is the most downloaded video format today. Another fact is that they are also small in data size with reasonably good video quality as compared with other video file formats. However, there is one thing that you might struggle doing with an FLV video file and that is editing it. Especially if you’re into using Windows Movie Maker, with which FLV is not compatible. There is no way you can edit a FLV file directly using Windows Movie Maker. On the other hand, Windows Movie Maker with its smaller size and powerful functionalities is one of the most preferred tools to edit video files. Fortunately, there are a few ways an FLV file can be made compatible with Windows Movie Maker for editing. If you are looking for such a solution to edit your FLV file, you’ll find the 3 solutions mentioned below really helpful. 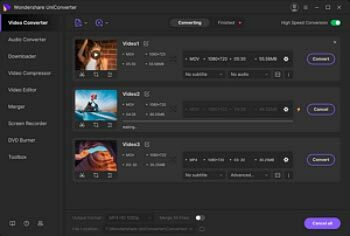 This is the primary step to be taken to import the FLV file to Windows Movie Maker for editing and hence is listed here as the first solution. Since this works at the codec level, there remains no requirement of the conversion of FLV file. You can download and install smaller codec packs in the form of K-Lite Codec Pack Basic, which is a collection of various components required to play audio and video and edit the file as well. Here’s the link in case you are wondering where to get the codec pack from. Converting FLV to Windows Movie Maker compatible format is the best thing you can do edit the FLV file using Windows Movie Maker. Wondershare UniConverter (originally Wondershare Video Converter Ultimate) comes as a great tool if you choose to convert FLV files to different formats compatible with Windows Movie Maker. Wondershare UniConverter (originally Wondershare Video Converter Ultimate) offers wide range of features and more than one way in which you can convert FLV file to Windows Movie Maker compatible format for editing. Step 1 Download Wondershare UniConverter (originally Wondershare Video Converter Ultimate) via the download button above, then launch it after installation. Step 2 Then click to import your target FLV video to the program. You can also directly drag the videos to the primary interface. Step 3 Now choose WMV as the output format as it's compatible with Windows Movie Maker. All you need is to click beside Convert all files to:, choose Video > WMV > select a suitable resolution in the right. Step 4 Specify the output folder in the bottom and click Convert All to start converting FLV to WMV. Once completes, click the folder-like icon to fetch the converted videos. If you have no idea which video format to convert your FLV files to except for further editing in Windows Movie Maker, Wondershare UniConverter (originally Wondershare Video Converter Ultimate) also works by allowing you to convert FLV to Windows Movie Maker preset. Here are the steps involved. Step 1 First of all, install Wondershare UniConverter (originally Wondershare Video Converter Ultimate) on the computer and launch it by double clicking on the icon. 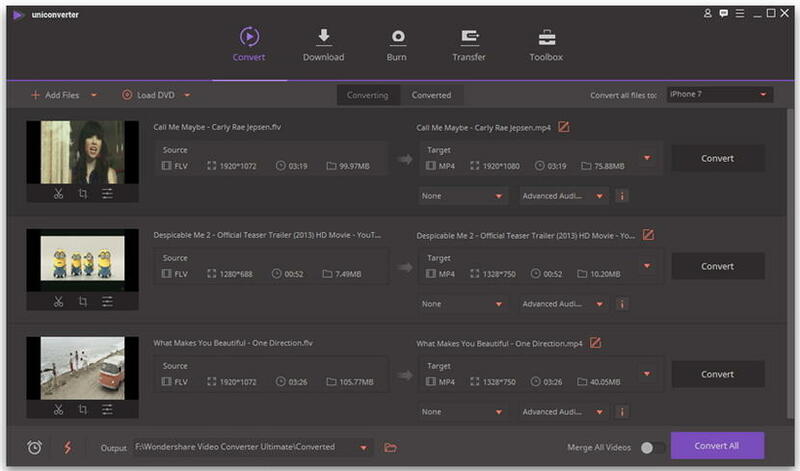 Step 2 Drag your desired FLV video to the program and drop it in the primary interface under Convert tab, or you can click to import FLV video. Step 3 Now, after the FLV file is loaded on to the program, the next part is to select Windows Movie Maker as output device. 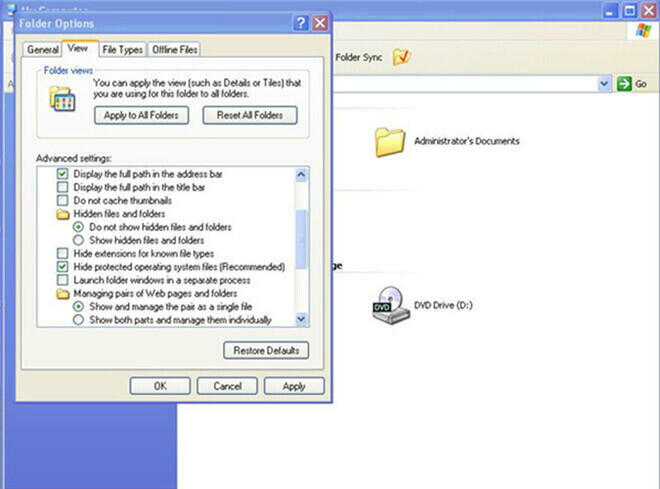 Click beside Convert all files to:, then choose Device > Others > Select Windows Movie Maker in the right. Step 4 Click Convert All to proceed with FLV to Windows Movie Maker conversion. When the conversion completes, you'd be able to import the converted FLV videos to Windows Movie Maker for further editing. 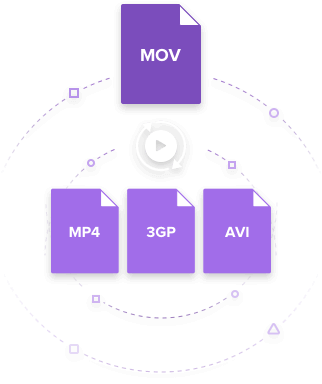 In this method, you have to convert the FLV file to MPEG. One of the simplest and easiest ways to do it, is to change the suffix of the FLV file to .mpeg. While employing this method helps most of the times, there are several defects as well that accompany it, as it sometimes fails to detect and work with the FLV files. Possibilities of damaging the video file after you have changed the suffix can also be one of the scenarios. However, this method usually works and if you wish to continue with the process, here are the steps to follow. Step 1 First of all, open My Computer. Click on the Folder Options icon which is present just below the menu bar. Now, hit the View tab and uncheck Hide extensions for known file types option thereafter. Step 2 Now, it’s time to change the suffix of the FLV file. Right click the FLV file now and change its suffix to .mpeg. As an example, say you have a file named “xyz.flv”. Right click on the file and change the file name to “xyz.mpeg”. This should now make the file compatible with Windows Movie Maker. Step 3 Open Windows Movie Maker and then from the drop-down menu, click on Import Video to import the FLV file for editing in Windows Movie Maker.